With World War I looming, Robert Conroy, a young Army private, adopts a stray, stump-tailed terrier. Conroy names his new friend Stubby and gives him a home, a family, and a chance to embark on the adventure that would define a century. The two quickly find themselves in the trenches of France and on the path to history. French soldier Gaston Baptiste befriends the man and dog and accompanies them along their epic journey through harsh conditions and incredible acts of courage. Sgt. 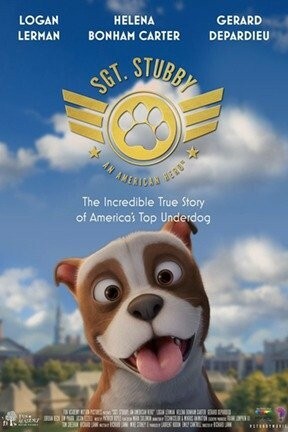 Stubby: An American Hero is not showing in any theaters in the area.